Incredible copper cups by Copper Craft! 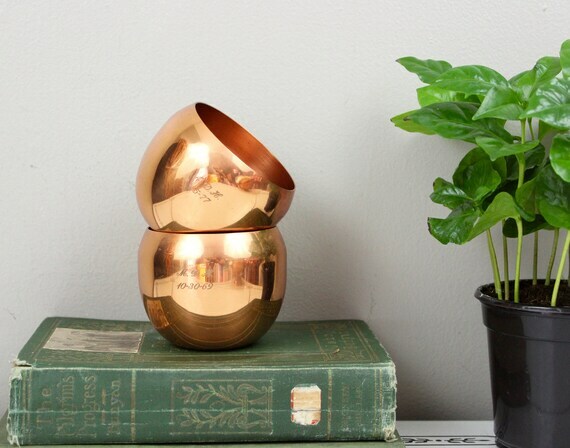 Mid century to a T, round copper cups originally designed as cocktail cups for Moscow Mules, these make great little planters as well! Cups are etched with initials and dates. Shiny copper has a nice, natural patina. Cups are in excellent vintage condition.